Pebble Concepts has been involved in the pool plastering industry since 1980 and has been on the cutting edge of new plaster products in the industry and implements them when they are proven. We are not for hire. Call or e-mail us and we will forward your information to our quality contractors we plaster for. 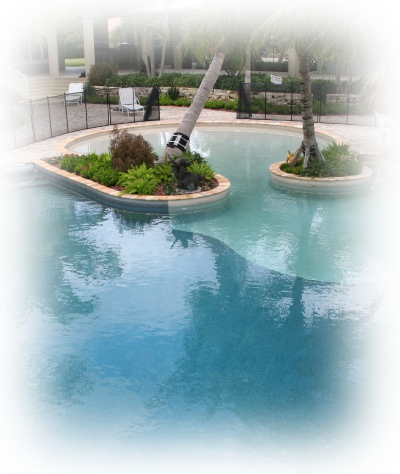 Pebble Concepts has been a leader in swimming pool interiors for over 15 years. We have set the standard for other companies to follow by providing the very best in materials and workmanship. With over 50,000 interior finishes installed , Pebble Concepts remains an industry leader as well as an innovator for the development of quality products for the ever changing needs of the consumer. When choosing Pebble Concepts you will receive the benefit of a trained staff with decades of customer service experience. We are a family owned and operated business. At Pebble Concepts our priority is customer satisfaction! 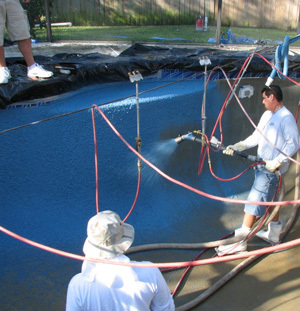 Pebble Concepts is you premium swimming pool plaster company that provides you with job site specific technical skills you would expect. 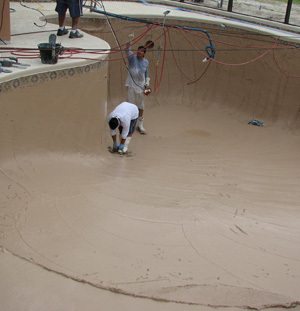 We do pool plaster on new and existing pools renovation resurface projects with top end products.